I don't have as much time as I would like to read, but once in awhile I will find a book that I just HAVE to read. My most favorite book ever is "Rain of Gold" by Victor Villasenor. This is the first real meaty "Chicano" book that I read. I have read everything that Villasenor has written since. 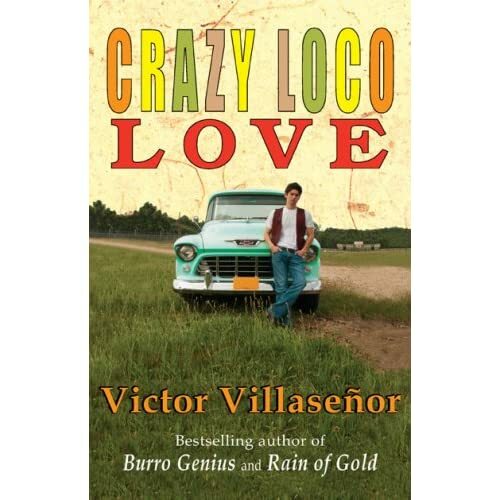 While in Palm Springs I found a new awesome book store and picked up a copy of Villasenor's latest book called "Crazy Loco Love" . It took me longer than usual to read and I even read another book in the middle. Villasenor's book are biographical and center around his family. This new book centers around Victor himself and his late teen and early 20's. Searching for himself and trying desperately to become un hombre. This was not the best Villasenor book I have read, and there were parts that went a little too far over the edge and into the philosophical and religious realms. I think I was too into the superficial part of the characters lives and really wanted to see how things would end up. I think the second time I read this the deeper aspects will become more important to me. I am way too invested in these "characters" and any book from Villasenor I would love.